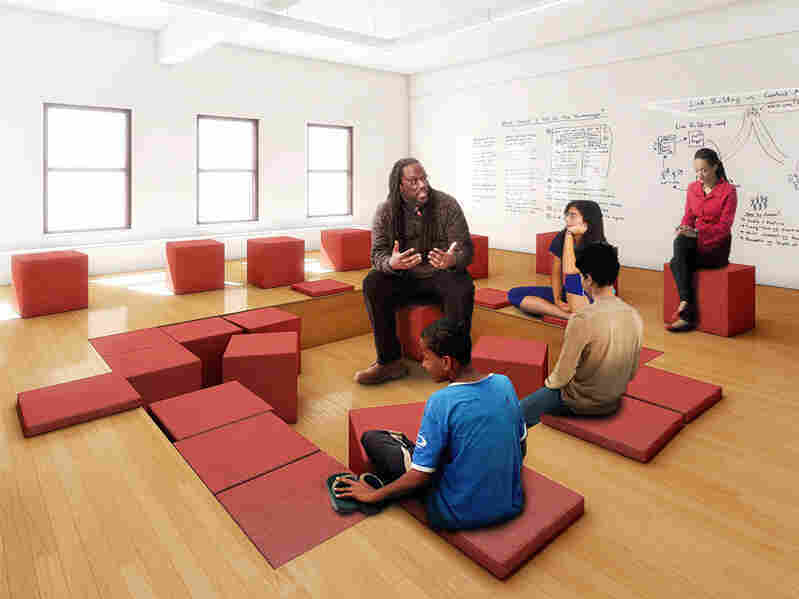 A Design Firm Rethinks Learning Spaces : NPR Ed Kurani uses what it calls community-centric design, working with teachers, parents and students to create new classrooms for new kinds of teaching. 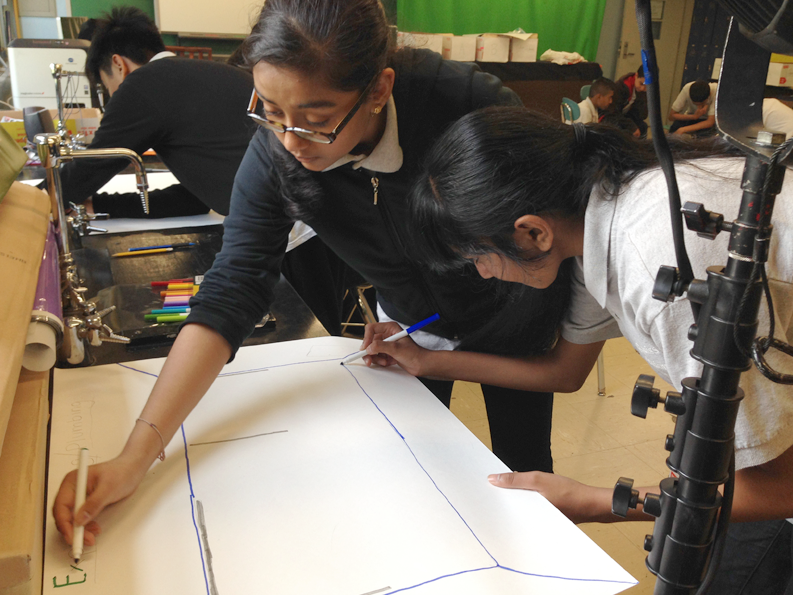 Students help Kurani designers learn about their neighborhood. When Danish Kurani left his large architecture firm in 2011 to study urban design at Harvard, he began to conceive of a design firm that would tackle almost every social issue imaginable: inequality, access to housing and clean water, health, you name it. That idea would become Kurani, which he founded in 2013 in Atlanta. Eventually the firm decided to focus, by taking on what it saw as the root of so many social ailments: education. "We treat the symptoms," Kurani says. "Working towards better education is the most proactive thing we can do." Kurani's partners — mainly schools and adult education centers in places like Houston, Denver and as far away as Victoria, Australia — share that belief. Many schools are relegated to working in outdated facilities, in forms that no longer follow their function. Kurani saw an opportunity for design to make a difference. "Because of the baby boomers, lots of schools were built in the 1950s and 1960s," he says. "Those are coming to the end of their shelf life. And since the 1960s, education has changed so much, both in the way we approach it and the way we participate in it. Learning has changed but facilities haven't. That's where we come in." Students get involved in Kurani's design process. When Kurani was tasked recently with creating a campus design for EPIC Schools, a new and expanding network of public high schools in New York City, the firm was faced with the usual challenges: lack of funding, lack of space, old buildings. The sites they were given to work with were what you might expect of a city school: low ceilings, small communal spaces and rows of identical 28-foot-by-28-foot classrooms. The Pit is a modular space for debate and discussion. EPIC High Schools are one of New York City's answers to low college and career readiness for African-American and Latino students. The city's Department of Education envisioned an experience unlike the test-based curriculum of so many other public schools. EPIC focuses instead on early college exposure, social responsibility, critical thinking, connecting students to industry, and one-on-one mentoring. EPIC aimed for a more project-based, interdisciplinary curriculum. 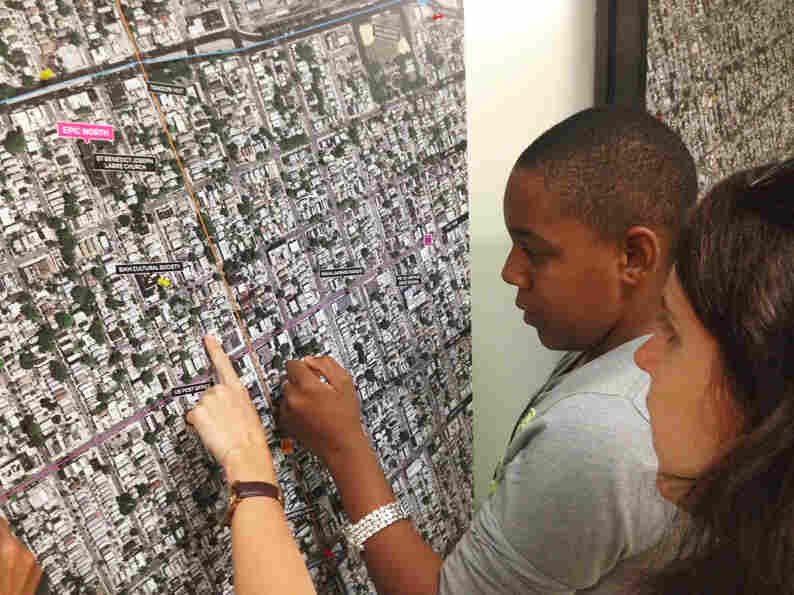 Working with schools especially, Kurani sees the value of "taking the school and nearby residents through a period of research, observation, and self-discovery," he says. "It allows us to base design on meaningful insights about the project's users and their daily lives." The school's commons has many breakout spaces. 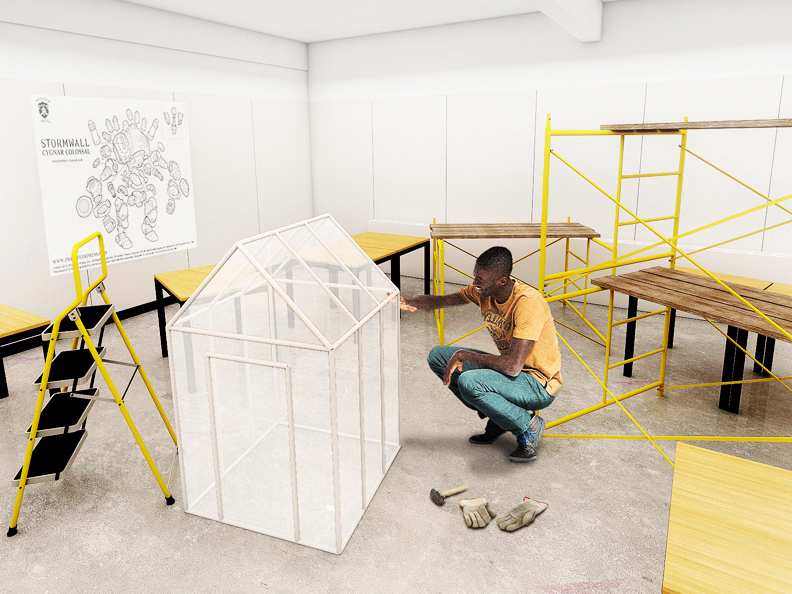 He calls this "community-centric design," and it has dictated all of his projects so far. Working with teachers, administrators, students and parents, Kurani developed a campus plan to reflect EPIC's goals. Teachers touched on the difficulty of carrying out project-based lessons without the necessary spaces to support them. Kurani had to keep the 28-by-28 classroom grid, but the solution was to make each of those spaces unique. A room designed for debates and discussions has a sunken "pit" filled with foam cubes that can be arranged into various seating options, from a round table to an amphitheater. 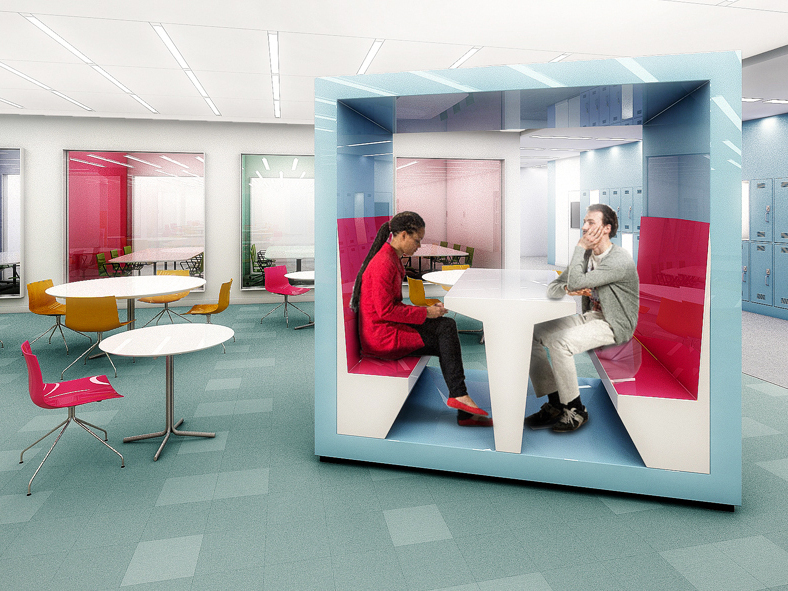 The Living Room, Coworking Dens and Rolling Pods are all "breakout spaces" configurable for group work or one-on-one coaching. There is also an area called the "Learning Partner Incubator," a workspace where individuals or organizations from outside the school will take up temporary residence for a term, with the goal of engaging students in real-world projects. The Build Barn is a workshop for projects. Now that the design is ready, the EPIC Schools just need the money to put it into practice. They are actively fundraising. "Working with Danish was really valuable," says John Duval, who directs the team at the city's Department of Education that oversaw the collaboration. "The concepts in the EPIC prototype give us real glimpses into what these could look like based on designing them around the needs of the people who go there every day — students, teachers and parents."